Central City Community Outreach is a grass-roots, nonprofit organization with more than 18 years of experience serving the holistic needs of the Skid Row homeless community and its fastest growing segment: families and children. Our staff and volunteers offer daily after-school support, tutoring and mentorship to over 75 children. 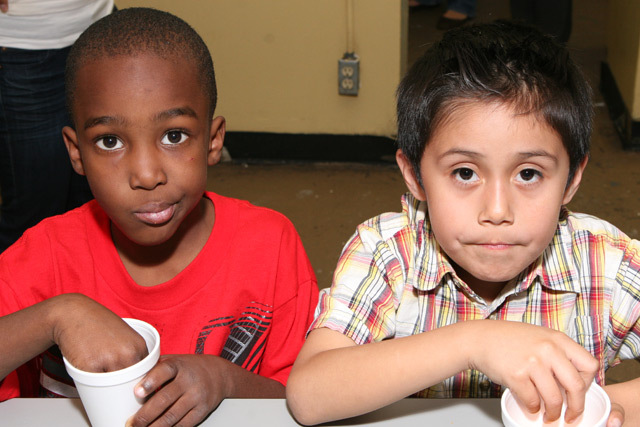 Through special outreach events and summer programs, we serve another 650 children and youth as well as 500 parents and kids living within a two-mile radius of our location at 6th and San Pedro.